51559-RB is rated 5.0 out of 5 by 6. 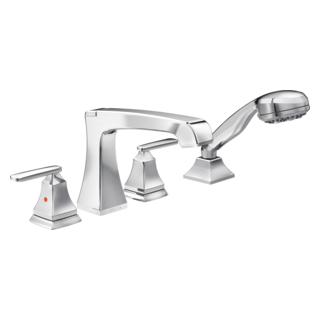 Rated 5 out of 5 by givens34 from Love the look and function of this handshower The look and color goes wonderful with any bathroom. Good shower settings for great pressure. Rated 5 out of 5 by Rick from Great product I installed this hand held sprayer for a customer. They just love it! Great quality and great looks! 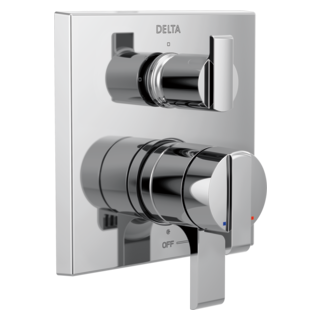 Rated 5 out of 5 by Michael from Delta Handheld Shower Bar Love the various settings. Brushed nickel finish looks great. Very pleased with purchase. 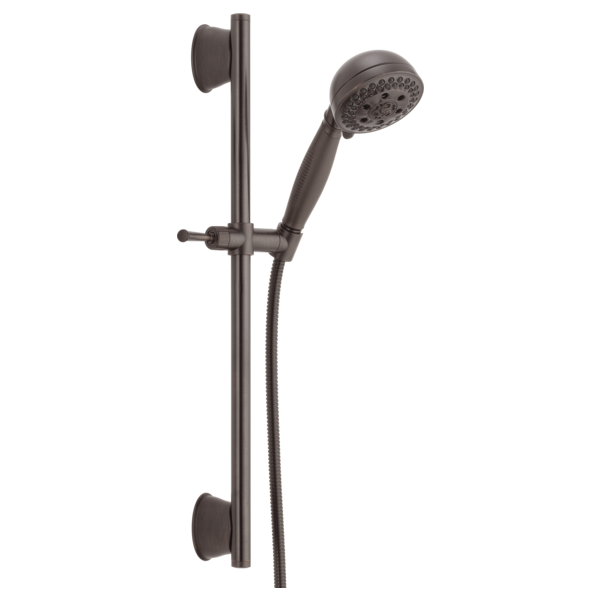 Rated 5 out of 5 by RV from Good Value This hand shower had all the features and quality I was looking for. It was priced right and the delivery was timely supporting my new construction project. How long is the bar? Is the mechanism to loosen the shower and slide it on the bar easy to loosen with your fingers? My wife and I have mild arthritis. what material are the bracket covers? 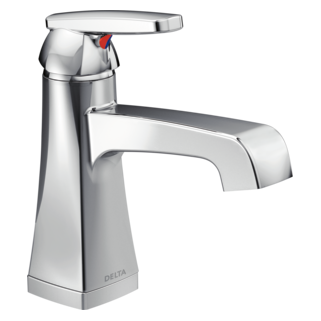 How can I increase the water pressure coming out of the spray head? i have a shower remodel project, bought the ashlyn shower trim and head and valve but now client wants to add handheld w slide bar do i have to have a separate valve for this component like a diverter for its own water source ? and a trim?